Well I couldn’t quite let National Stationery Week pass by and not tell you lovely lot about my current favourites. I think I might have an obsession with copper, can you tell?!? 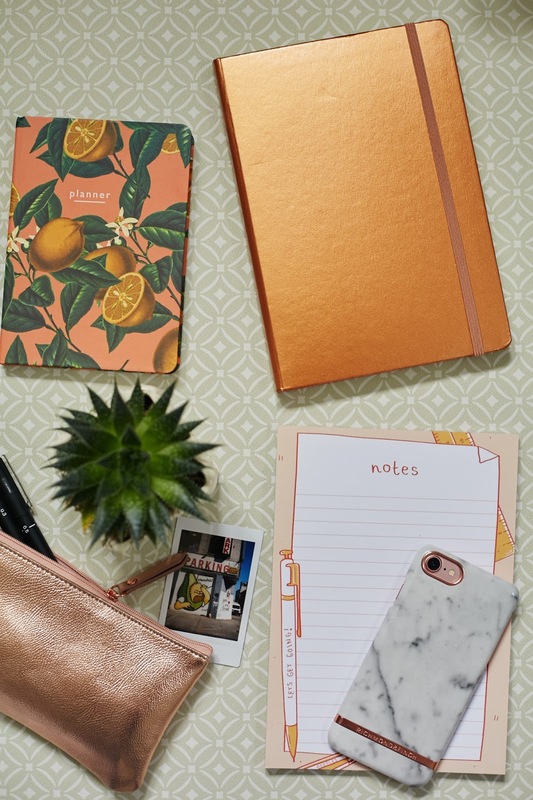 First up let me tell you about my new bullet journal the ‘Leuchtturm 1917’ a metallic edition range created in celebration of Leuchtturm’s 100th year. I am yet to start using it as I’m just in the process of finishing off my first bullet journal. I started bullet journalling last October and I have found it the best organising process that I’ve ever been able to stick to. I love that its totally customisable and that you can make it truly unique. 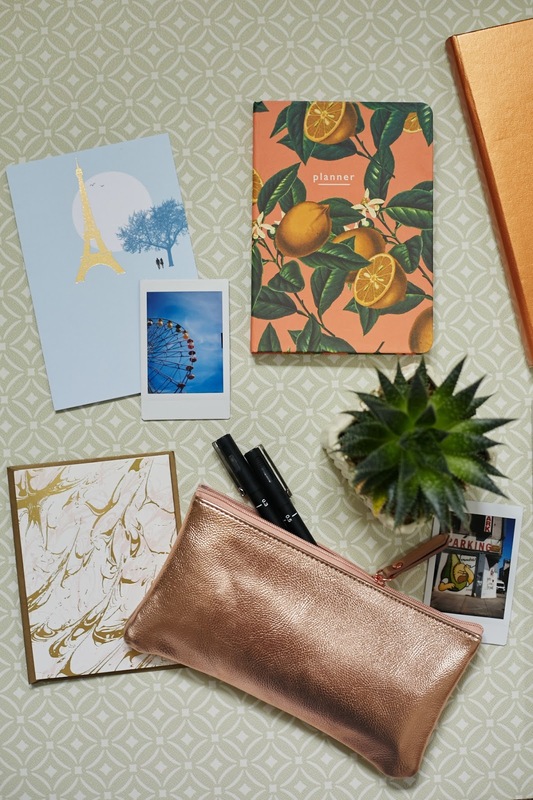 I opted for the copper version, how could I not as it matches my wonderful copper pencil case from Kikki K. You guys know that Kikki K is one of my fave stationary brands and I love the size of this pencil case, great to have in my handbag with all my essentials. I also couldn’t not mention this month’s ‘Papergang’ box from Ohh Deer and a collaboration with actress and youtuber Arden Rose. 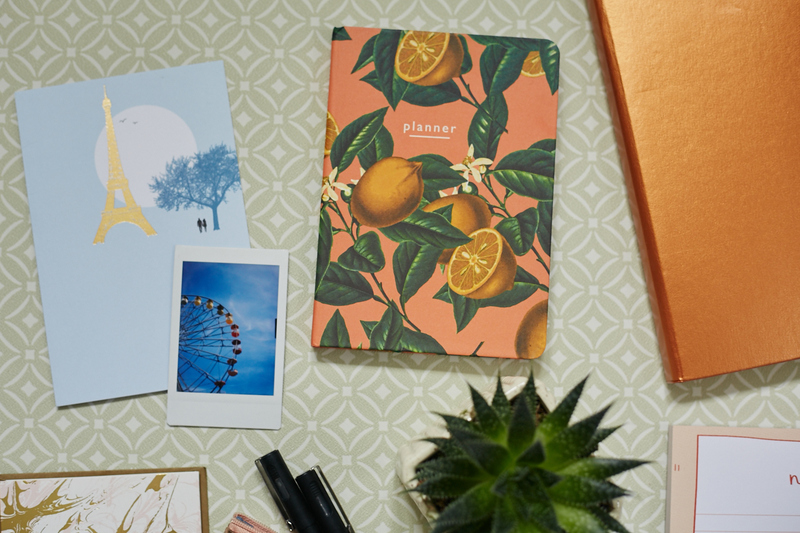 As soon as I saw the opening Lemon printed design I signed up for papergang this month and can’t wait to see what other gems are in the full collection when it’s released in early May. 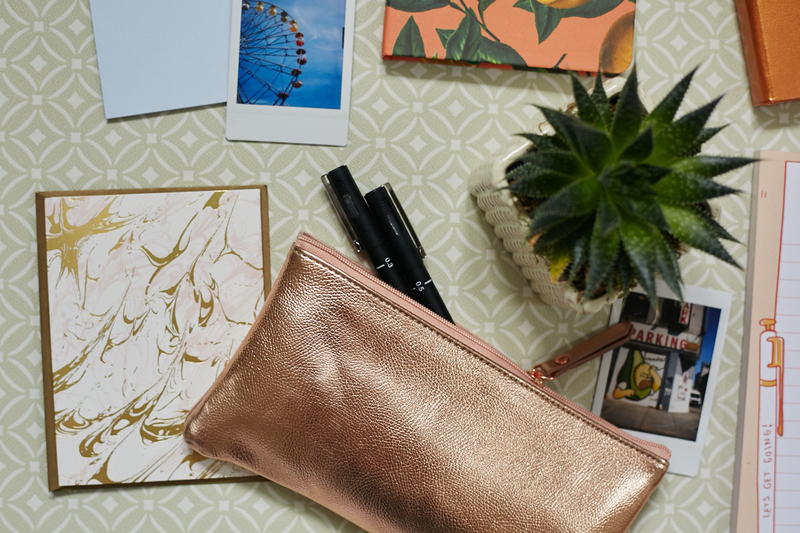 I love this little pocket sized planner though, I think that it’s great to pop in your handbag and I love the inside layout. I can’t wait to start using it. Also featured below is the notepad from this months papergang box. I always have a notepad on my desk for list making, shopping lists and writing notes down when I’m on the phone. Last but by no means least are decorative cards. The Paris one was from Ollie for our anniversary and the marble ones are from a set I managed to pick up in TK Maxx. I love to have a collection of cards to hand for Birthdays, thanks you and just little notes. There’s something very special to me about a handwritten card and I think that it’s really hard to beat receiving one in the post. 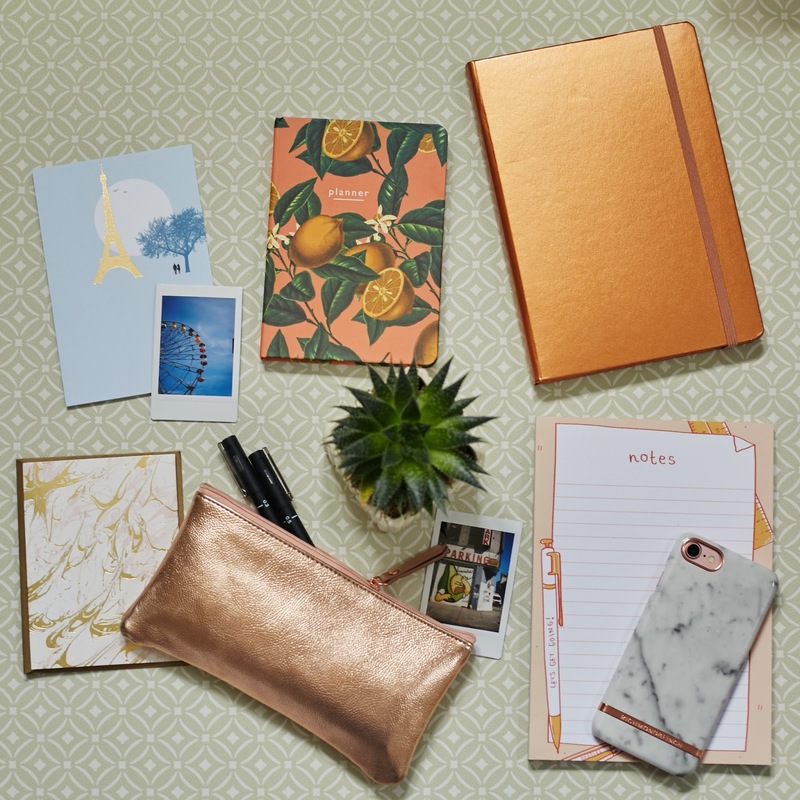 I have such a big love for stationary at the moment, definitely like all of the printed notebooks and rose gold and marble. Loving the planner and the Paris cards!